$145 for one choice of above treatment, book your Spring SPA treatment 2509472123. The Stonewater SPA - Week Day Spa Escape is available Monday to Friday. You are encouraged to arrive at The Spa 60 minutes prior to your treatment time in order to make use of the swimming pool and hot tub. Contact us at 250-947-2123, or stonewaterspa@bellstar.ca to schedule your appointment. Gift certificates are available. Our intimate spa setting is sure to help you abandon your cares. If your personal goal is relaxation, beautification or wellness, our highly trained staff can help. The combination of comfort and personalized attention will be sure to fulfill your vision of the perfect day spa experience. Whether you're a visitor to Parksville, or a local resident, we welcome you for a special day of pampering. 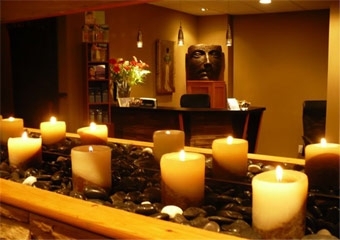 The owners and staff at Stonewater Spa are dedicated to creating and providing a customer 1st environment. We want to exceed your expectations in both product quality and service. Thus producing results to provide you, our valued guest, with the ultimate day spa experience. Stonewater Spa gift certificates starting at $25 make a unique and personal gift for someone special. Certificates are non-refundable but fully transferable. Couples room and couples massage now available. We Proudly Use & Recommend Glo, Dr. Renaud, Gehwol, O.P.I., Sacred Earth and Seaflora. Stonewater Spa requires a minimum of 24 hours notice for all cancellations. Same day cancellations will be charged 50% of their scheduled service. "No shows" will be charged for 100% of their scheduled service.